You can pick up a copy of ALONG THE INDIGO at Barnes & Noble and IndieBound. Now on to the interview! I read an excerpt for ALONG THE INDIGO and was immediately captivated by Marsden. Tell us more about her, her family, and the skimming she does by the river. I’m so happy to hear that! With Marsden, I wanted to portray her as this very normal teenager who happens to be surrounded by very strange circumstances. So like a lot of teens, she’s starting to think about what she wants for the future even as she’s also still figuring out who she is right now. But there’s a lot of baggage in her life that’s complicating things, with the mystery of her dad’s death still lingering, her mom being a prostitute, and how her family actually owns this tragic part of town known for being a place where people go to commit suicide. Marsden’s also mixed—half Chinese, half white—and having to grow up in this very small, very white town where her family already has a bit of a tarnished reputation, she feels like an outcast. But of course it’s not as simple as just leaving, because she has a little sister, Wynn, and more than anything Marsden wants to keep her sheltered her from all the ugliness around them. A lot of the book is really about Marsden wanting to escape so many parts of her life—her family, her past, the town. I’m intrigued—and a little spooked—by the Covert and its bloody history. What inspired you to create the Covert and the nearby town of Glory? For Glory, it’s interesting to me that what some people find inviting in small towns others find inherently creepy. There are elements there can go either way and I love playing with that fine line. What if you actually don’t want every single person to know your family’s history? What if you want to go out for coffee without everyone else knowing you’re going for coffee? How hive mind thinking works is really interesting to me, too. As for the covert, the idea for that started with this image that popped into my mind one day. It was of this teenage girl in this tree, standing there and looking down at this guy. I just knew she was protecting it from him. That image came before I had any idea for a theme or overall plot. I know it sounds super cheesy for an author to say that’s how they got an idea—“it all started with a dream”—but in this case, it’s more true than not! Jude meets Marsden when he goes to the Covert to search for more information about his brother’s suicide. What are their first impressions of each other? Jude and Marsden are each outcasts in their own way, but it’s also how they eventually connect with one another, and I wanted that mix of shared discomfort and recognition to come across in their first meeting. It’s almost a confrontation of sorts, the way they become friends, because they battle all the way. They hadn’t been looking to meet, but then they have to work together; they end up needing each other, when they’d meant to stay closed off. What did you enjoy most about writing Marsden and Jude’s relationship? I liked making them soften toward one another even as things get tougher around them and they have more and more things to fight off. Because like a lot of writers, I like putting characters through turmoil and having them change, and I like making them even hate and struggle against some of that change. There’s a satisfaction in and necessity to writing characters that go from A to B. Did you have a central theme in mind when you were writing ALONG THE INDIGO? What do you hope readers will take away from the book? I knew I wanted to write about a girl who felt simultaneously trapped and lost, but in the beginning, it really did feel more like a spark of an idea than the central theme that it eventually became. 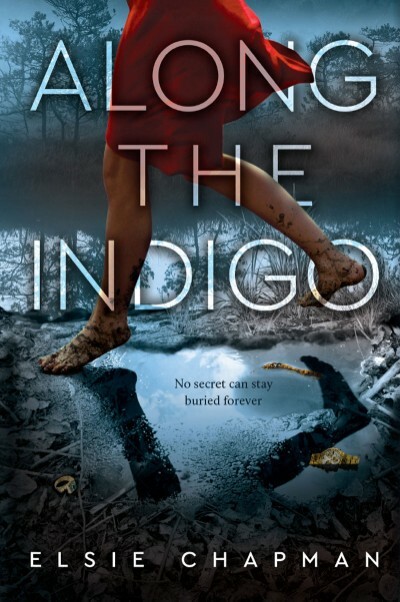 Ultimately I’d love for teen readers to read ALONG THE INDIGO and take away whatever they can relate to, whatever they might find a connection to and find enjoyment in. The ideas I write about might not be the same ones they gravitate to—I might be writing about Marsden trying to work out a sense of belonging and identity, but they might be drawn to Jude growing up with an abusive father. 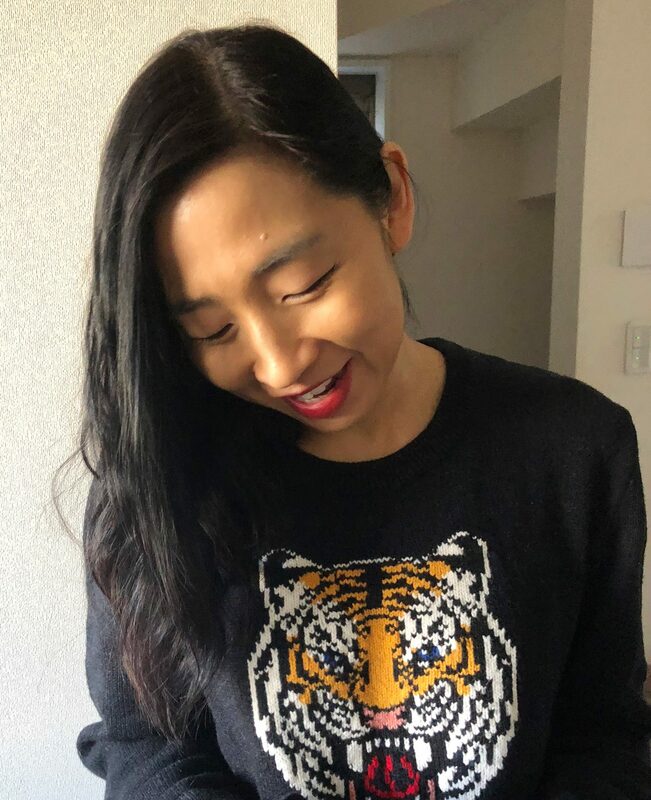 You are an editor with Ellen Oh for the anthology A THOUSAND BEGINNINGS AND ENDINGS, which is out later this year. Can you tell us more about the anthology and your story in it? I’m so happy about this anthology! It’s a collection of retellings of East and South Asian folktales and mythology retold by diasporic Asian authors. Coming up with this idea, Ellen and I knew right away we wanted something different, something that wasn’t in the marketplace yet in terms of YA anthologies, and also that we wanted to feature Asian authors. My retelling is “Bullet, Butterfly” which a futuristic take of the famous Chinese folktale “The Butterfly Lovers.” I wanted to explore its classic themes of fated love and family obligation in a war-torn setting, with gender-swapped characters. What 2018 books by or about people of color or people from First/Native Nations are you looking forward to reading? I’m going to be looking out for Sangu Mandanna’s A SPARK OF WHITE FIRE, which is described as a “multicultural YA space opera inspired by the Mahabharata.” It’s out in September and I’m excited! There’s TRAIL OF LIGHTNING by Rebecca Roanhorse which was pitched as an “indigenous Mad Max: Fury Road” and I absolutely cannot wait to pick it up in June! And I’m looking forward to EVERYDAY PEOPLE: THE COLOR OF LIFE, which is an all PoC anthology of contemporary short fiction edited by Jennifer Baker. The author list is amazing, and it’s out in August! Is there anything else you’d like to tell us about ALONG THE INDIGO? Just that I hope it finds its readers, and that there will be a lot of them! And that if even one teen can take something from it, or is uplifted or feels seen by it in some way, then I’ve done my job as an author. Thank you so much for having me on Rich in Color! Born and raised in western Canada and a graduate of UBC with a degree in English Literature, Elsie Chapman currently lives in Tokyo with her family. She writes books for kids and teens. Upcoming: ALONG THE INDIGO (March 20th, 2018), A THOUSAND BEGINNINGS AND ENDINGS (June 26TH, 2018), ALL THE WAYS HOME (Spring 2019), HUNGRY HEARTS (Summer 2019), and more TBA! You can reach Elsie on her website, Instagram, or Twitter.